ALTA Language Services is conducting a pilot study for non-native English speakers. If you have taken the TOEFL or another spoken language test such as the ACTFL OPI, or the DLPT OPI within the last 6 months, please contact us at lhopkins [at] altalang.com. ALTA will pay you US$50 to complete a test of your English speaking skills and fill out a short survey about your experience taking the test. All tests are conducted by telephone. 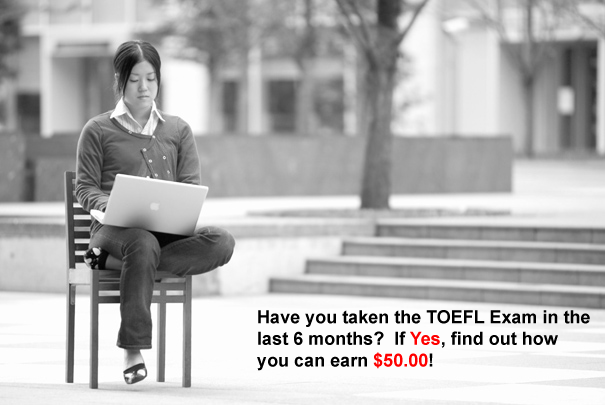 When you write to us at lhopkins [at] altalang.com, please provide the date you took the TOEFL or other validated spoken language test, and your score on the speaking portion. ALTA Language Services has provided language testing to U.S. corporations and government agencies for 30 years. For more information about us, please visit our website at www.altalang.com.